We’ve prepared a fun little video for you this week! To see more of these, Like Us on Facebook! We’ll be publishing them every now and then on our Facebook Page. Enjoy! Planning a Summer or Fall trip to Iceland? It’s important to book hotels and tours early to this wildly popular destination. Give us a call! 503-224-0180 or email info@wittravel.com. Welcome back to Conscientious Traveler–-our monthly series in which we showcase a fantastic travel organization that supports humanitarian and/or environmental work. 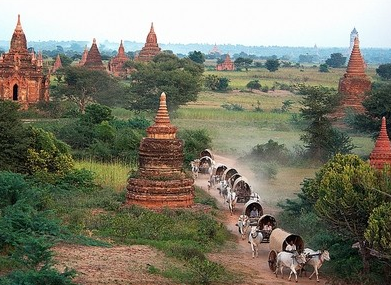 This month is all about Caravan-Serai! Caravan Serai is a Seattle-based tour operator that guides clients through the Middle East and North Africa, as well as parts of Iran, Caucasus, Cuba and now even an Arctic Adventure Cruise (ask WIT for deets). They are our go-to affordable experts in the Middle East, and we’re proud to feature them as one of our top recommended vendors. Travel with them include reputable guides, accommodation, most meals, and some flight connections. Through her work running tours and the museum, Rita has always aimed to promote cultural understanding of the Arab World. Over the years, the museum has refocused its efforts as a humanitarian organization. The philanthropic SCM Medical Missions is dedicated to providing humanitarian aid to people affected by disaster within Middle East and North Africa. In the past few months, SCM have shipped out blankets and school supplies to Syrian refugees; run clothing drives in partnership with Value Village thrift store; volunteered at refugee camps in Greece. In 2013, SCM opened up the Malki Children’s Center in Amman, educating refugee children ages 6 to 12 who have been traumatized by war. Their program for Humanitarian Goods involves a team of volunteers who knit warm clothing and make arrangements to ship them to Syrian refugees in Jordan. Click here to learn more or to donate. You can also volunteer to assist in clothing drives or even as an humanitarian volunteer in Greece. Every year, Caravan-Serai shares unique holiday recipes from the Middle East that we love. Here is a special dish from this winter’s roundup. Cuba is fast becoming one of the most popular destinations for US travelers. And our agents at Willamette Intl Travel are uniquely qualified in that we have sent our clients to the island for years. Over that time, we have built a solid foundation with a few excellent tour companies. 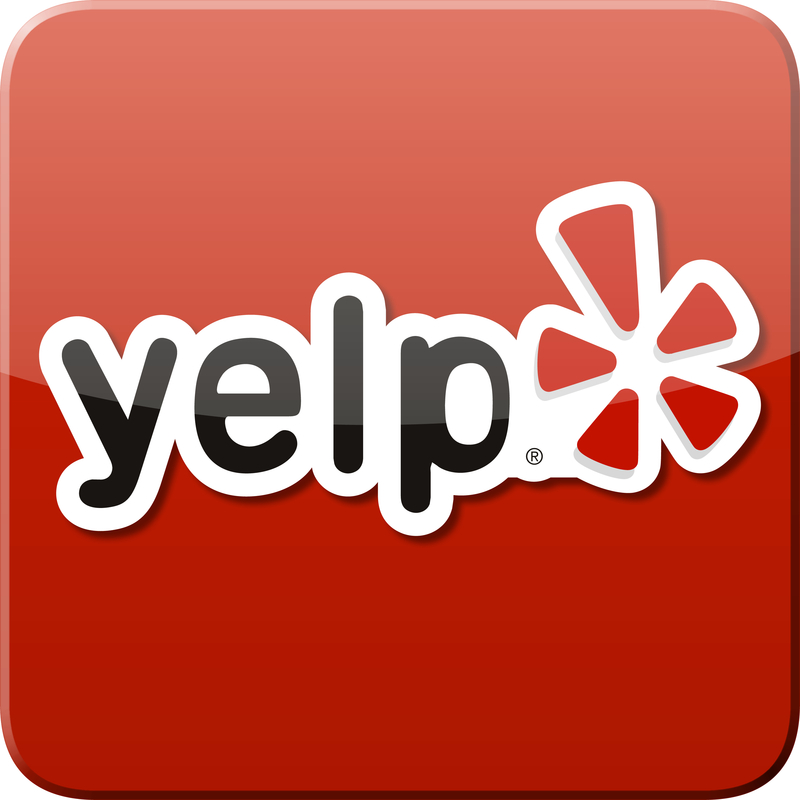 Read on to see who we recommend and why. As the Obama administration opens up commercial travel between the two countries, airlines are already gearing up to go. However, before you jump on a plane, remember: many restrictions still apply to US passport holders. You need to be confirmed on a tour with a licensed tour operator to enter the country legally. 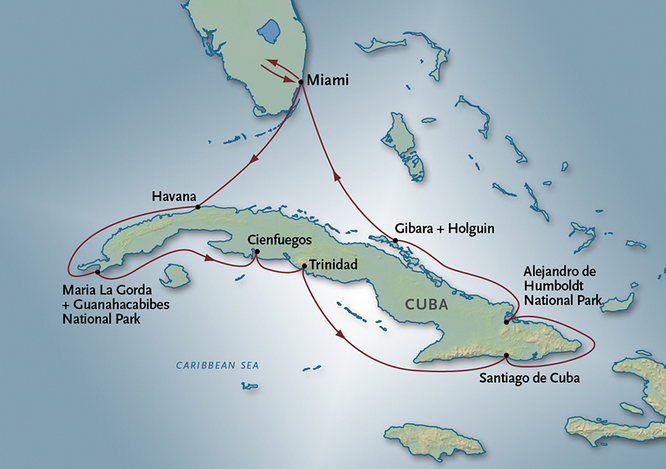 A&R also offers a 11-day cruise from Miami that circumnavigates Cuba. Explore 6 UNESCO World Heritage Sites and the cities of Havana, Trinidad, Santiago de Cuba, and two national parks from the intimate ms Saint Laurent. This company offers up to 10-Day tours (some of which are already sold out for 2016! ), which engage participants in meaningful, immersive interactions with individuals in Cuba. 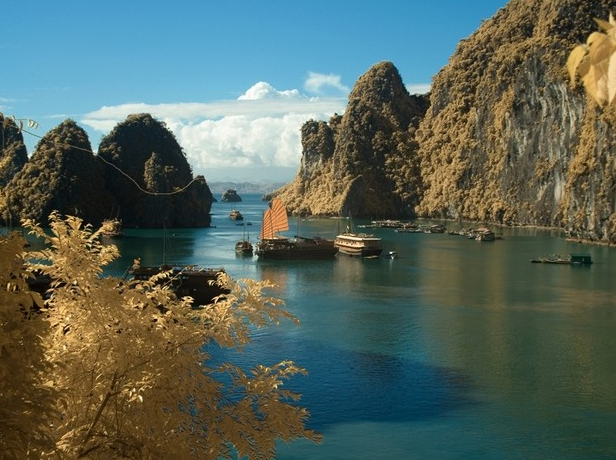 Both offer independent itineraries tailored to your preference. Globus’ People-to-People Programs offer a culturally immersive experience within the comfort of a large group. Seats and cabins on Cuba tours in 2016 are quickly selling out! Call 503-224-0180 or email info@wittravel.com to find out more and reserve a space to this fascinating country! On the Ground in Dubai! Last January 2013, WIT Agent Pam Davis took the nonstop flight from Seattle on Emirates Airlines to the luxury city of Dubai. With the airline expanding new ports all over the world, it’s not uncommon that your trip to Russia or Africa is going to have a forced overnight in Dubai! Why not attach an extension on your trip to explore the Arab World? Check out the details in our On the Ground with Pam. Dubai is a fascinating destination. The country is part of the United Arab Emirates—there are seven different emirates which have banded together. The largest of these are Abu Dhabi, the capital, and Dubai. Abu Dhabi has more oil resources while the economy of Dubai is based more on business and tourism. Dubai is a country of superlatives. They have the largest shopping mall in the world (complete with an indoor ski slope! ), and the Burj Khalifa which is the tallest building in the world (I went to the top in the fastest elevator in the world – it took 30 seconds to climb 125 floors to an observation tower). Everything seems over-the-top. Hotels are opulent, and construction seems to be going on everywhere. I stayed at the Atlantis Hotel, located at the top end of Palm Island,a man-made series of sand islands that jut out into the gulf and from the air look like a palm tree. Even the public transportation is luxurious—the metro line has first and second class cars; the first class cars have leather seats, and each train has a separate car designated for women and children only. There are special pink taxis with women drivers, also designated for women and children. The population of the emirate is now 75% expatriate—local citizens represent only 25% of the population. Most of the people are workers who come from India and the Philippines, with some Europeans and Americans who work for foreign companies. The locals have some extraordinary benefits— free housing (and it looks very nice), free education (even at foreign schools), and no income tax. No wonder they love Sheik Mohammed, the hereditary ruler. While the resort hotels accept Western-style dress, much of the country is still somewhat conservative. Men wear traditional white robes, and women wear black burkas which are basically robes covering street clothing when out in public. Inside the shopping malls are uniformed women who patrol the corridors, passing out dress code requests for women whose skirts or sleeves are deemed too short. Dubai is on the edge of the desert, and while there I was able to go 4-wheeling in the desert dunes, a popular pastime for tourists and a good contrast to the city and beaches. The service on Emirates Airlines was excellent, and they have an extensive route system connecting their Seattle gateway with the Middle East, Asia and Africa. They also have some good stopover packages—with a 3 or 4 night stay en route to another destination, you can experience much of what Dubai has to offer. WIT Agent Pam would love to share with you more of her firsthand tips from Dubai! Call her at 503-224-0180 for more information on Dubai or Emirates. This week we’re taking a close look at WIT Agent Wailana’s trip to Iceland in early October. Today we continue on the Ring Road to the fabled West Fjords. A bit removed from the Ring Road track, I recommend the West Fjords only if you have at least 10 days in Iceland or you’ve been there before. The West Fjords are known for their rugged austerity and countless deep fjords. Your first stop entering by car or bus will be the Museum of Icelandic Sorcery & Witchcraft in Hólmavík. The West Fjords have a long history steeped in witchcraft and magic. 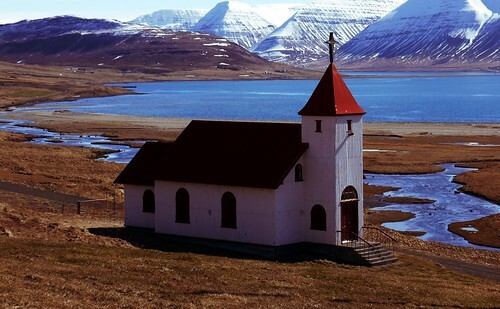 The unofficial capital of the fjords is Ísafjörður, with one of the largest fisheries in Iceland—also the cultural and musical center of the region. You may be lucky enough to be in town during one of the region’s various festivals celebrating skiing, music, sports, and theatre. It’s also home to the annual European Swampsoccer Championships. There are many other activities to enjoy in the fjords, from learning local fishing, dipping in a natural hot spring, or go on a sailing tour. Travellers can also take the ferry from Stykkisholmur in the summertime to Brjánslækur. Stop in Súðavík to see the Arctic Fox Center or Bíldudalur and its Sea Monster Museum. 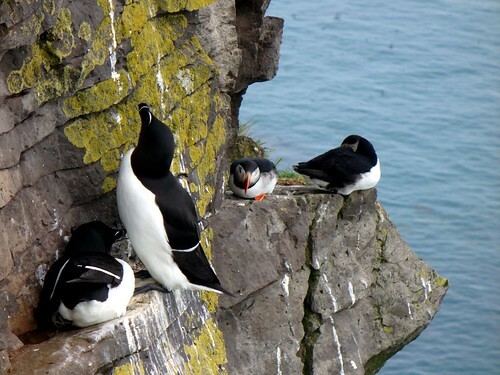 Visit Látrabjarg, the famous peninsula that is home to millions of birds: puffins, northern gannets, guillemots, razorbills. Drive to Rauðasandur, a red sand beach that stretches out 10 km. Don’t miss Hornstrandir Nature Reserve, the northernmost point of Iceland. Hornstrandir is a lonely place. The few settlements and farms have been mostly abandoned for decades, and the few that remain are typically utilized as summer houses by local families. Most travelers visiting the area enjoy the solitude, hiking trails and magnificent cliffs. It’s a great destination for nature lovers—home to about 260 species of flowering plants, arctic foxes, seals, and more than 30 species of birds. The cliff known as the Western Horn is one of the best places to spot seafowl. 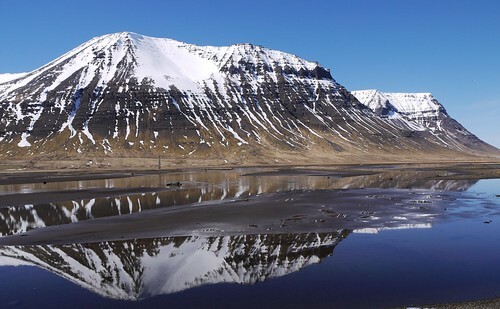 The area is accessible by boats from Ísafjörður. Thinking about a trip to Iceland next summer 2014? Call 503-224-0180 or email info@wittravel.com to chat with one our agents! Wailana would love to share with you more insider tips about traveling to Iceland! Filed under Europe, Iceland, News, Where in the World is the WIT Agent?